Using the city's open data portal, Eugene Chen created an animated map of Edmonton that tracks building construction in the city from 1917 to 2017. A self-professed Edmonton data nerd has managed to capture a century of city growth in six seconds flat. "It's definitely fascinating to see the growth of Edmonton as it reaches out to the outer parts of the city," said Chen, a member of the analytical team at Darkhorse Analytics. "There is so much conversation around sprawl, how much it costs and how inefficient things are when a city grows outward like that." Click on the map below to watch the city grow. Chen used raw building reports from the city to construct the GIF, compiling various different data sets from over the decades. There were several significant spikes in historical construction, he said. The most notable spikes in expansion were tied to the booms in Alberta's oil economy. Chen said he wanted his map to trigger a conversation about the future of urban sprawl in Edmonton. His post of the map on Twitter has garnered dozens of responses and renewed the local debate around rampant expansion of urban areas, he said. "I think it's getting a lot of attention because it's simple and brings up some interesting connotations around sprawl and infill," Chen said in an interview with CBC Radio's Edmonton AM. "I think this is part of my interest, just being able to put the information out there so that people can have those conversations armed with more information." The animation is one in a series of maps Chen has constructed which track historical development in the city by sourcing data from the city's open data portal. The catalogue is a bit of a beast to navigate, Chen said, due to a overwhelming glut of raw data from every department in the city. It took several weeks to compile the numbers he needed to construct the map. 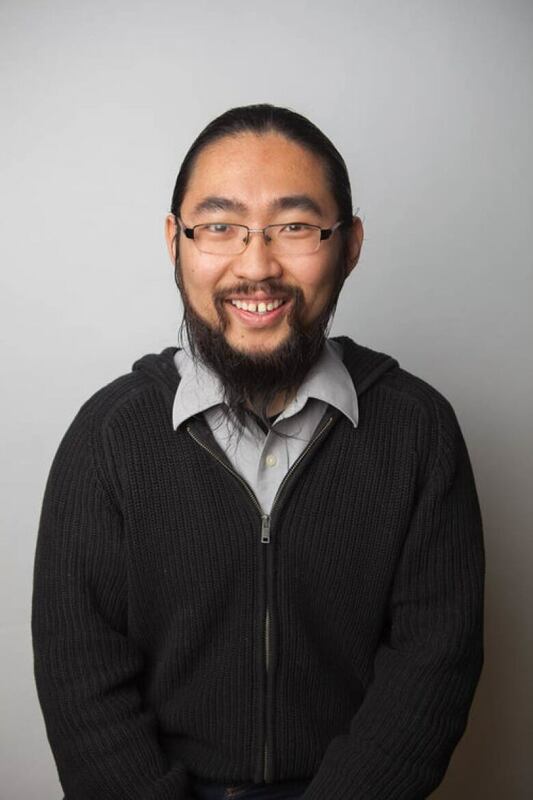 "Simplicity is key," said Chen, who has worked at Blackberry and Microsoft and is currently a master's student in computing science at the University of Alberta. "And it's a challenging thing to visualize because there are over 300,000 buildings and structures in Edmonton." Edmonton has been recognized nationally for its open data catalogue, and Chen said the city's Edmonton's open data portal has allowed citizens to innovate. The program provides free and public access to hundreds of city data sets, from land surveys to building permits, with new data sets added or updated each week. A number of grassroots projects have been borne out of the open data initiative, including a new air quality tracker and an app that maps places in Edmonton where one can pick free, fresh fruit. Chen likens raw data to raw diamonds. While having a huge arsenal of information available to the public is commendable, few people have the time or patience to interpret the numbers, he said. The six-second animation is tiny compared to the big ideas that could come out of all the hidden gems of information. For Chen, making sense of the raw data — and turning it into useful information — is a passion. "It's like raw diamonds," he said. "People will look at it and it looks dull and they are not able to do very much with it. "What I find interesting is the polish, taking that raw diamond shaping it, making it look sharp, making it expose some interesting fact about the city. It's the idea of data versus information."